Three research networks are working together to provide the lifeline of a new meteorology supercomputer running on renewable energy. 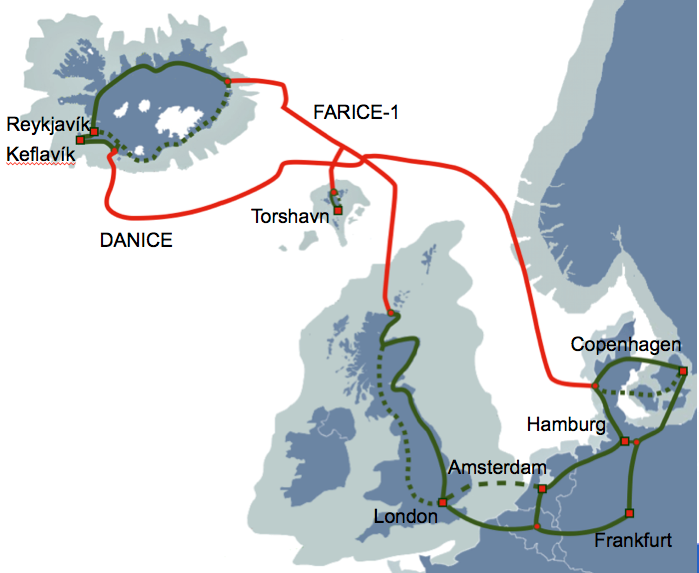 Through a 10 Gbps redundant fiberoptic cable running 2250 km across the North Atlantic, the Danish Meteorology Institute in Copenhagen connects to its new supercomputer located on Iceland. There are three main reasons for choosing Iceland. Firstly, the computer will be able run solely on renewables – the energy produced in Iceland is 100% CO2 neutral as generated by geothermal and hydroelectric power stations (see image). Secondly, the cool icelandic climate significantly reduces cooling costs. And thirdly, the supercomputer will be installed in cooperation with the Icelandic Met Office, Veðurstofa Íslands, marking the onset of an increased collaboration between the two institutes. Veðurstofa Íslands will be responsible for operating the facility. In return, the Danish Meteorology Institute will provide highly detailed data for weather prediction. The collaboration covers hardware and numerical weather prediction, but also long term research, both institutes having significant interests in the Arctic. The weather forecasts delivered by the new super computer will cover Iceland, Denmark and Greenland. The computer will deliver more precise forecasts for e.g. the very important forecasts concerning heavy winds in the fjords of southern Greenland. The three research networks working together to provide the connection between Denmark and Iceland are Danish DeIC, Icelandic RHnet and the regional Nordic network NORDUnet. The new computer will have about ten times the computational power of the existing facility, which enables higher spatial and temporal resolution for numerical weather prediction and climate modeling.